I took a hand quilting class a few weeks ago at the local fabric store. 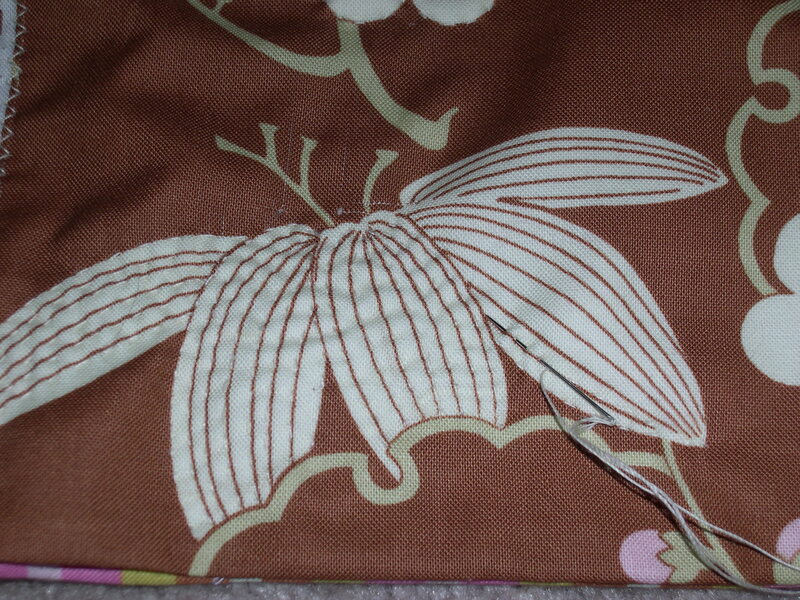 It was a fun class because I learned so many things I didn’t know, such as how to make a quilters knot, what needles to use for this type of sewing, how to baste the project with quick big stitches, and how to make the poke and rock stitch (I can’t remember the “official” name for that). I’m not sure I liked it enough to hand quilt a large bed-size quilt. Maybe I could practice on smaller projects… like this one. I was working on this notebook cover from the trailing cherry fabric by Amy Butler, and I thought those flowers would be a good place to practice my hand quilting stitches. 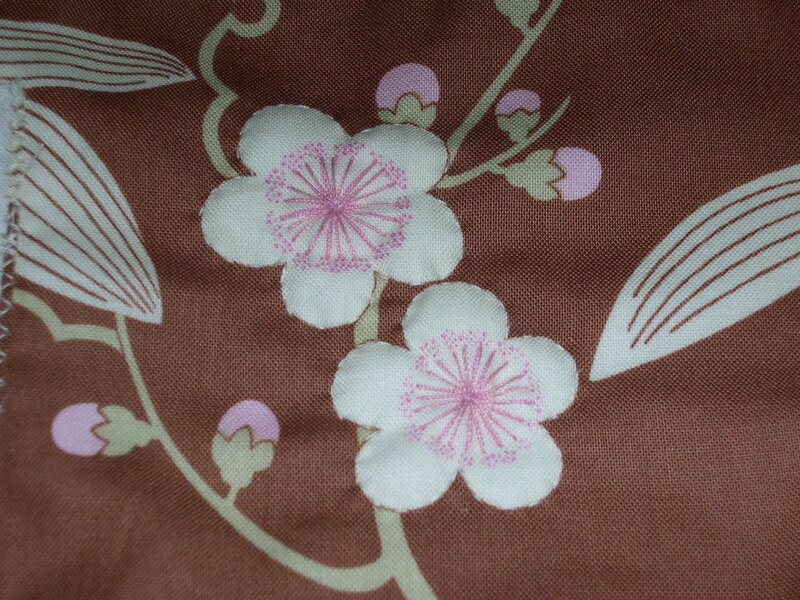 I started with those smaller flowers at the top by quilting white thread around the edges and pink in the center. Then I moved on to that big flower at the bottom by quilting white thread along each crease of each petal. It’s a little hard to see in these photos, sorry about that. This was a great way to practice hand quilting stitches. As I finished this project, I think my stitching got smaller and closer together. After seeing improvement in my technique, I think I would do this again (on another small project). 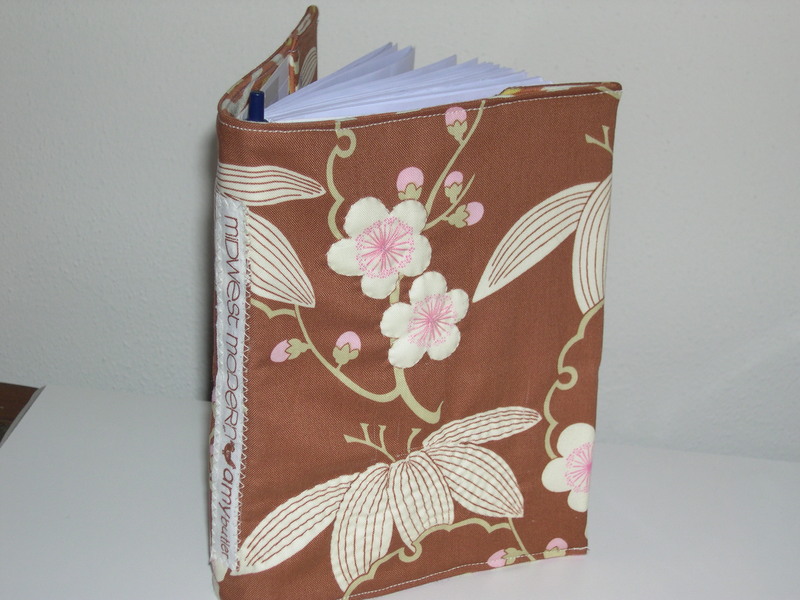 The other feature I added to this simple notebook cover was to sew the fabric selvedge onto the spine with a zig-zag stitch, which I think makes it look more charming. Kind of like a book title or a label. 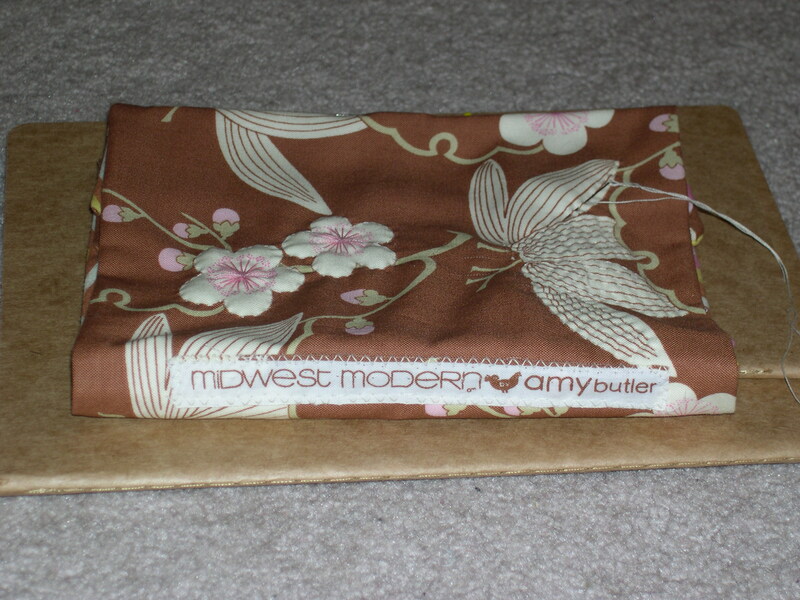 It makes me smile whenever I look at that part because I adore all of Amy Butler’s fabrics. Who doesn’t?! 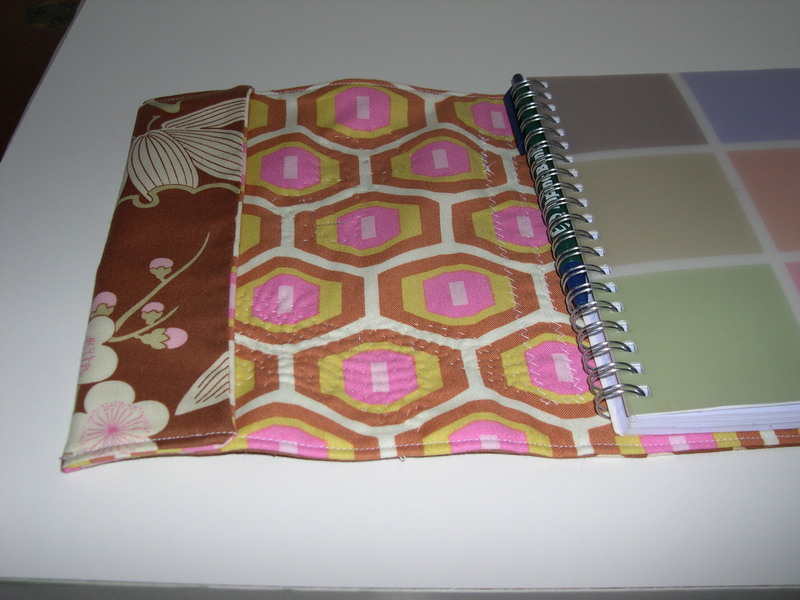 I used up some of the scrap fabrics leftover from my laptop cover, so now I have a nice matching set. Yea, I know, I still like matchy things. Practice makes perfect with most learned things, especially with this hand quilting technique. I like the look of the hand quilting on this little project but it was a lot of work. Was it worth it? I think with more practice I will grow to like it more and more. Love your hand quilted notebook cover! I find hand quilting to be very relaxing and a great proejct in front of the TV! Love the detail of using the selvedge on the spine – very clever. Great idea to start on something small. I love the book cover! I agree practice makes perfect. The notebook cover turned out great. I like handstitching (wish I was a little better at it). It’s one of those “while watching TV” projects. i love, love how this looks! beautiful!